Bloomington, Ind. — Cook Medical has received U.S. Food and Drug Administration (FDA) marketing approval for the first devices in its Zilver® PTX® Drug-Eluting Peripheral Stent portfolio, company officials reported today. 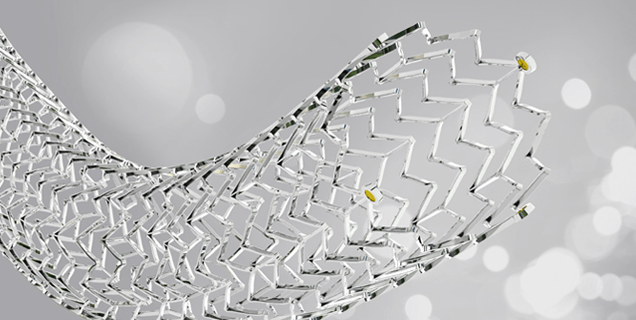 It’s the first time the FDA has approved a drug-eluting stent to treat blockages in a peripheral artery. The Zilver PTX Drug-Eluting Stent is intended to treat peripheral arterial disease (PAD) in the superficial femoral artery (SFA). In order to supply as many physicians as possible with this new technology, Cook is making Zilver PTX available initially in 80 mm lengths in 6 mm and 7 mm diameters. The products indications for use also allow two Zilver PTX 80 mm stents to be overlapped to treat longer lesions up to 140 mm. The FDA approval also includes 40 mm and 60 mm lengths, which will be introduced to the U.S. early in 2013. Cook expects to receive regulatory approval for 120 mm length stents in both diameters next year. Eight out of ten patients treated with Zilver PTX still had open arteries (primary patency) after one year1. That compares to only 3 out of 10 patients treated with angioplasty alone. Patients who received a bare metal stent required more than twice as many reintervention procedures to reopen the SFA as patients who received Zilver PTX.2 “After conducting the largest randomized controlled study of peripheral stenting ever undertaken, we now see remarkable results in patients treated with Zilver PTX,” said Michael Dake, M.D., a professor in the Department of Cardiothoracic Surgery at Stanford University School of Medicine and medical director of the Cath/Angio Laboratories at Stanford Medical Center, Palo Alto, Calif.
Cook’s Zilver PTX stent is already approved for sale in more than 50 markets, including the European Union, Japan, Brazil and most of South America, Australia, New Zealand and Taiwan. The device is being introduced to the U.S. market in a five-step process designed to make this technology available to as many patients as possible initially. How does Zilver PTX work? A physician gains arterial access through the groin and guides a Zilver PTX stent to the narrowed artery with a catheter. The stent is deployed and expands like a scaffold to help keep the artery open after the catheter is withdrawn. The drug paclitaxel, which coats the stent, is taken up by the cells of the arterial wall to help prevent the renarrowing of the artery over time. What are the main features of the device? A combination therapy device, Zilver PTX both restores patency (blood flow) and provides targeted delivery of paclitaxel, a cell growth-limiting drug proven to reduce arterial restenosis (post-procedural blockages). This drug coats the stent without the use of a polymer, eliminating risks that may arise directly from a polymer. Zilver PTX is made of nitinol, a“shape memory” metal alloy, and is engineered to withstand the dynamic forces of the superficial femoral artery (SFA). Zilver PTX is the first peripheral vascular device that combines the mechanical support of stenting with the drug paclitaxel to reduce the risk of restenosis. Two-year data from the Zilver PTX Randomized Controlled Trial of Paclitaxel-Eluting Stents for Femoropopliteal Disease indicate that the stent demonstrated 74.8 percent primary patency at 24 months in the PTX group, compared to just 57.8 percent for patients with optimal percutaneous transluminal angioplasty and bare metal stents in the 479 patient study. Current treatment options for PAD include lifestyle changes, medication, exercise, angioplasty, bare metal stenting and bypass surgery. What is Zilver PTX indicated for and what are the risks and contraindications for this device?